This article and video presentation are intended for educational purposes only and not as legal advice. To view more educational videos like on real estate and other related subjects visit the Cherry Creek Title Services Channel on You Tube. 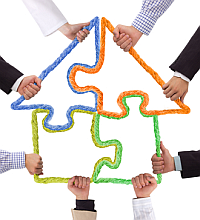 When people typically think of co-tenancy agreements, they think of them in the context of leasehold interests. The lack of co-tenancy agreements in many ownership scenarios leads to unnecessary disputes and costs. 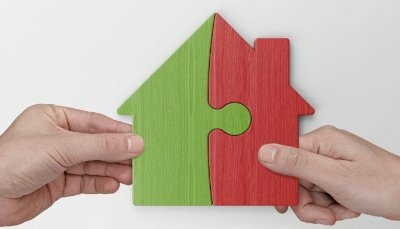 This article addresses the benefits of having a co-tenancy agreement when two or more unmarried parties take title to real property. These same issues can be addressed in a well drafted LLC Operating Agreement so owning via an LLC is another sensible way to hold title and address these same issues. Of course, partnerships, corporations, limited partnerships and other artificial entities with their related governing documents can also be used in lieu of an LLC. One big advantage of holding title via an LLC or other artificial entity is eliminating the individual liens (e.g. judgment, taxes) of an owner attaching to the property. But, this discussion will be limited to people taking title in their individual names as tenants in common since that is often the case. There are many scenarios in which non-married people acquire real property. Besides unmarried couples, many people acquire real property with others for purposes of joint occupancy, vacation homes and as investment/rental property. Merely taking title in the deed as tenants in common fails to address many possibilities that may arise. The use of a co-tenancy agreement can avoid disputes by addressing possible future issues. Let’s look at two common scenarios. In the first one, two friends decide to buy a rental or investment property together. They’re intent is for their interest in the property to pass to their heirs and not to their co-owner/friend so they take title as tenants in common. Getting the loan was only possible in their individual names, and forming an LLC just for one property seemed like a lot of hassle and expense to the parties. Besides the LLC formation and maintenance related expenses, the property would have to be deeded into the LLC; a statement of authority prepared and recorded; and a 107.9 additional named insured title endorsement should be acquired to assure the LLC is covered by the owners title policy issued in their individual names. Both friends have excellent credit and are not concerned with liens attaching to the property attributable to the other owner. With not a very long list of issues to address, the friends opt for leaving title in their individual names and entering into a co-tenancy agreement. Here are some sensible issues to address in the co-tenancy agreement: the right or lack thereof of the owners to occupy the property; rules regarding when and which portions of the property the owners may occupy, if allowed; the logistics of how any partner can trigger a sale of the property; preclusions against any owner from securing their interest voluntarily or involuntarily; how the repair and maintenance costs will be paid (ongoing retention of reserves or assessments as things arise); the rights of any owner covering any shortfalls by one owner against another for failure to make their share of any mortgage payments, taxes, insurance, maintenance or other property expenses; any rules regarding loaning or sub-letting the property; and the agreement should discuss what happens upon the death, bankruptcy or divorce of one of the owners. This list is not exhaustive as every situation is unique. In scenario two, two or more friends acquire a vacation home for personal use. Perhaps it will be in a rental pool for a portion of the year. Besides addressing the same issues described above, additional provisions regarding an agreed schedule of rights to occupancy/use; time periods the property will be in a rental pool, if any; and the ability to loan to friends or family can all addressed in the co-tenancy agreement. Of course, many of the times that one co-tenant wants to sell, the only practical solution is to sell the entire property. Provisions can be added to the co-tenancy agreement granting a first right of refusal to buy out the interest of the owner wishing to sell and then providing for the entire property to be sold in the event the first right of refusal is not exercised. Let’s face it, if 2 people each own 50% of a vacation home; one wants out; and the other doesn’t, agreeing in advance to sell the property in such circumstances can avoid arguments and preserve friendships. Finally, I can’t end without sharing a bit of case law. While tenants in common generally have the common law right to possess, use, and enjoy the entire property, they can contract otherwise. See Keith v. El-Kareh, 729 P.2d 377, 378, 380 (Colo.App. 1986) (involving contract between tenants in common giving one co-owner exclusive possession of the property and responsibility for upkeep and repairs). Indeed, the “general rules [of tenancies-in-common] will not control where there is a contrary agreement.” Butler ex rel. Butler v. Rafferty, 792 N.E.2d 1055, 1058 (N.Y. 2003) (alteration in original) (quoting 13 Warren’s Weed, New York Real Property, Tenancy in Common § 3.01); see also Keith, 729 P.2d at 380; Cleveland Tr. Co. v. Hart, 131 N.E.2d 841, 842 (Ohio Ct. App. 1955) (“During the existence of the lease their rights as tenants in common were suspended, and the unity and right of possession had become severed, and, for the time being, abrogated, by their signing of the contract.”); Niles v. Carlson’s Estate, 75 A. 266, 267 (Vt. 1910) (“These parties, though tenants in common, were at liberty to make such special contracts regarding their joint property as they pleased. And such contracts, when made, would bind them to the same extent and be enforceable in the same manner as similar contracts between strangers.”). An overview of property ownership where a co-tenancy agreement would apply and the importance of determining the terms of ownership. Occupancy, rental, insurance, maintenance and the sale of are just a few examples. Presented and intended for educational purposes only by Michael Selinfreund, President and General Counsel of Cherry Creek Title Services, Inc.